"Sometimes characters come along that demand a new kind of novel. 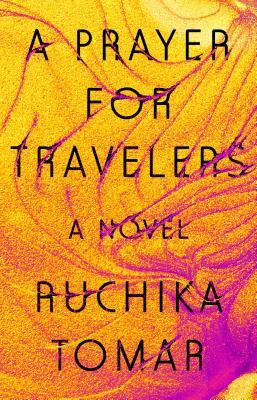 The young women at the center of Ruchika Tomar's A Prayer for Travelers - elusive Penny and wounded Cale - are two spirits hitchhiking through geographies of dislocation and desire. The human collisions in Tomar's novel are emotionally seismic, and they leave us haunted and unsettled." 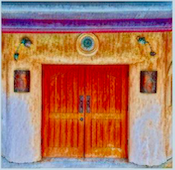 Cale Lambert, a bookish loner of mysterious parentage, lives in a dusty town near the California-Nevada border, a place where coyotes scavenge for backyard dogs and long-haul truckers scavenge for pills and girls. Cale was raised by her grandfather in a loving, if codependent, household, but as soon as she's left high school his health begins an agonizing decline. Set adrift for the first time, Cale starts waitressing at the local diner, where she reconnects with Penélope Reyes, a charismatic former classmate running mysterious side-hustles to fund her dreams. Penny exposes Cale to the reality that exists beyond their small town, and the girls become inseparable----until one terrifying act of violence shatters their world. When Penny vanishes without a trace, Cale must set off on a dangerous quest across the desert to find her friend, and discover herself. An audacious debut, told in deftly interwoven chapters, A Prayer for Travelers explores the complicated legacy of the American West and the trauma of female experience. Ruchika Tomar was raised in Southern California. She holds a BA in English literature from the University of California, Irvine, and an MFA from Columbia University. A recent Wallace Stegner Fellow, she is currently a Jones Lecturer at Stanford University.